German is the most commonly spoken language in Berlin, although there are some regional dialects that can vary, such as Friesian people, who tend to speak a Low German (Plattdeutsch) dialect. The official language is referred to as High German (Hochdeutsch) which originated in Saxon times. English also has similar origins. 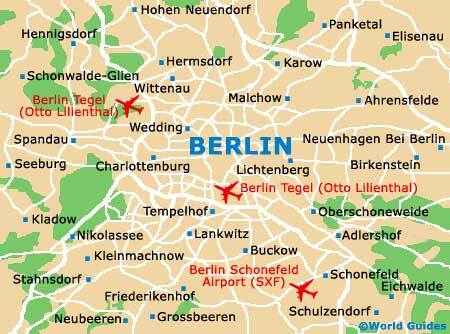 It is widely spoken throughout the city of Berlin and is the second most common language in Germany. Tipping is quite discretionary, with taxi drivers usually being given a small gratuity which may be no more than rounding up the fare to the nearest Euro - although this is not essential. Restaurants usually include service charges and these are always clearly stated on the menus. If you were particularly pleased with the service it is customary to round up this figure. You should always pay tips in cash, as this way you can be sure that the person it is intended for receives it fully. The Roman Catholic and Protestant faiths make up the two largest churches in Germany. These religions were historically given an equal status in the 16th century when rulers were able to choose the religion for their specific region. This has resulted in the north being mainly Protestant and the majority of the south is Catholic. The third largest religion is the Muslim faith with over one million adherents, followed by the Jewish and many smaller denominations. Some restaurants may have a strict 'no smoking' policy, although many tend to cater for smokers in different areas. Most offices and methods of public transport are now 'non smoking' and although the Berliners have neither a positive nor a negative attitude to smoking, it is best to only smoke when in the company of like-minded people. The Euro is made up of eight coins and seven paper notes and was introduced on January 1, 2002. There are 12 members of the European Union - Austria, Belgium, Finland, France, Germany, Greece, Ireland, Italy, Luxembourg, Netherlands, Portugal, and Spain - and they planned the event for more than a decade, determining a conversion rate for each country's national currency. The colourful Euro bills, which include holograms and shades of green, yellow, blue, mauve, and orange, are identical across the Euro area. Coins have one common and one national side, but they can be used in any of the member countries, regardless of the country of issue. Old currencies are no longer accepted, although they can still be converted to Euros in central banks. Value Added Tax (Mehrwersteuer) is charged on consumable items at 7%. This includes food, newspapers, books and tickets. Other goods such as services, car rental and eating in restaurants are charged 16%. Visitors travelling from non-EU member countries can claim VAT refunds from some tax-free shops. To make a claim, original receipts are required and a special form must be completed and then stamped by the retailer. When leaving the country, the form must then be handed in at customs. 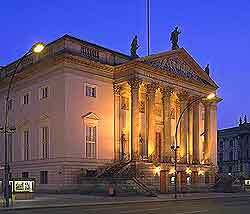 Berlin Tourism is an organisation that is made up of tourism and tourist information related businesses in the region and the main Berlin Tourism Centre can be found at Europa Centre, Budapester Street, Tiergarten, but there are others throughout the Berlin.